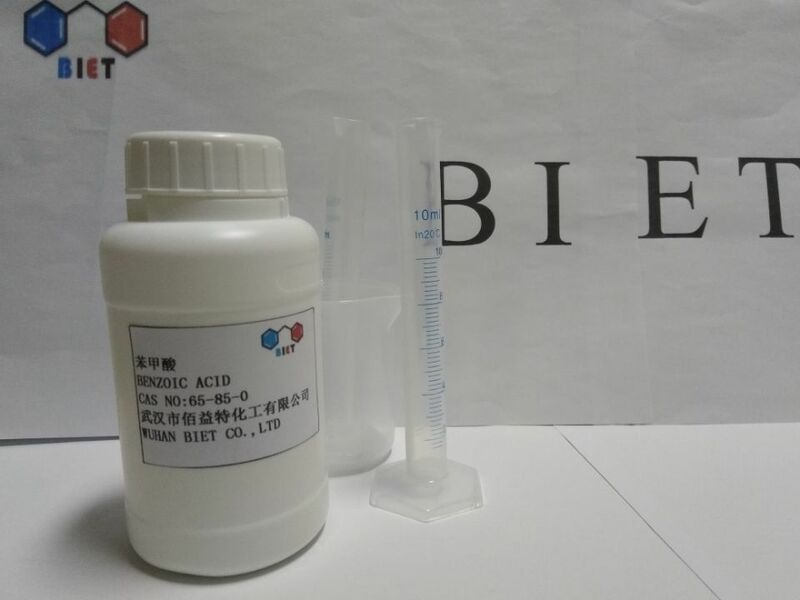 Benzoic acid is a fungistatic compound that is widely used as a food preservative. It is conjugated to GLYCINE in the liver and excreted as hippuric acid. Benzoic acid is a Nitrogen Binding Agent. The mechanism of action of benzoic acid is as an Ammonium Ion Binding Activity. Benzoic acid, C6H5COOH, is a colourless crystalline solid and the simplest aromatic carboxylic acid. Benzoic acid occurs naturally free and bound as benzoic acid esters in many plant and animal species. Appreciable amounts have been found in most berries (around 0. 05%). Cranberries contain as much as 300-1300 mg free benzoic acid per kg fruit. Benzoic acid is a fungistatic compound that is widely used as a food preservative. It often is conjugated to glycine in the liver and excreted as hippuric acid. Benzoic acid is a byproduct of phenylalanine metabolism in bacteria. It is also produced when gut bacteria process polyphenols (from ingested fruits or beverages).